The principles of life and nature guides accountant and author Haimnauth Ramkirath as he muses on what the world needs to turn all its tragedy into triumphs in his debut book, At Ease Like the Blooming Lotus. In his poems, Ramkirath reflects on life and his quest to find inner peace and fulfillment. Guided by his studies on Eastern philosophies and teachings, he examines the world to find the good in today’s unfortunate circumstances and urges readers to rise above the base reactions of violence and negativity. Through his poetry, Ramkirath calls for humility, compassion, and resistance against all forms of abuse to begin the change the world and humanity desperately needs. “This book was an absolute joy to read. . . . Every time I picked it up, the poems I would read would relate to the current state of mind I was in. This helped me take things on from a different state of mind,” says Amazon customer Hector Gonzales, who rated the book five stars. Another Amazon customer, Al, gave the book full ratings and praised its profound and enlightening message. 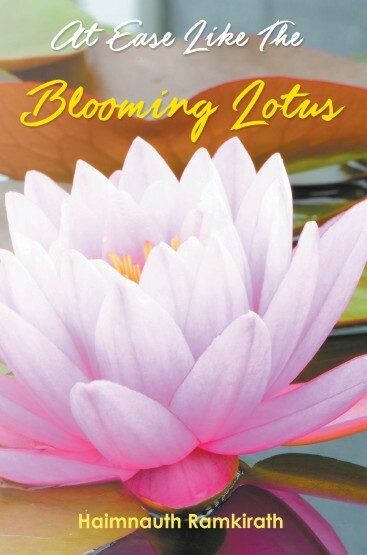 At Ease Like the Blooming Lotus conveys simple yet profound messages that have universal appeal. To learn more about the author and his work, visit www.ramkirathbooks.com. Haimnauth Ramkirath was born and raised in Guyana, South America. There, he worked as a teacher for 10 years before he moved to the United States in 1991. An accountant by profession, Ramkirath worked his way up to a controllership position. He became fascinated by Eastern philosophies and teachings at a young age, an interest that he continues to pursue and live by as an adult.